One week after completing a four-year degree in occupational therapy, we flew to Nepal for a seven-week adventure. After three weeks of touring Nepal and trekking the breathtaking Annapurna Himalayas, we headed off to Lalgadh Leprosy Services Centre (LLSC) in the South-East of Nepal. We were eager to see first-hand community-based rehabilitation, experience the Nepali culture, get involved, and expand our OT skills along the way. The hospital was in a beautiful location, which gave us lots of variety for after-work adventures. Some afternoons we walked along winding paths through the nearby forest. On one occasion we spotted monkeys in a family dispute. Other times we walked through villages and were greeted by children running excitedly up to us saying, “Namaste! Namaste!” We cuddled baby goats, as the locals looked on smiling at us in a quizzical way. We also walked in the vast, almost empty riverbed that will flow forcefully in a few months when the rainy season comes. We spent many an afternoon watching the parade of wildlife that passed our verandah. There were beautiful coloured birds with long tails and exotic calls; as well as the company of slinky foxes, anxious mongoose, agile chipmunks and chirpy geckos. During our four weeks at LLSC we embraced the Nepali culture. We wore traditional Nepali clothes, ate dhal bhat with our hands, spoke conversational Nepali, and drank copious amounts of doot cheeya (milk tea.) We were soon to find out that the leisure activity loved by the locals is to picnic. On a few occasions, we were invited to share this experience. We had barely made it to the picnic mat, when the women dressed in their beautiful saris ushered us into the middle of the circle- insisting that we dance. Before we knew it, out came the camera phones documenting these strange foreigner dance moves. The women served us dalh baht and watched intently as we slowly gulped down the spicy food. On Saturday mornings, we attended the local church. The church had wide windows that we could gaze out of and see rice paddy fields. Once we saw a man chasing two goats! We enjoyed the passionate singing and clapping of the congregation and could almost sense what the meaning was behind the words. We wish we could have understood the sermons that were said in Nepali. We did manage to catch a few words – ‘Jesus’ ‘hallelujah’ ‘happy’ and on one occasion ‘spicy.’- but too few to piece together the message. We made sure we weren’t always left out- we laughed along with the rest of the congregation when jokes were made, even though we didn’t know what was said! One of the highlights of our time at LLSC was attending the community groups facilitated by those affected by leprosy. It was so inspiring to see how supportive the group members were to one another and the positive social change for the community. These community groups respond to the needs of their community, through implementing projects on water sanitation, health and hygiene, income generation, education and skills training. We met one woman who had started a community group in her own village and is now helping others to start community groups in other villages. 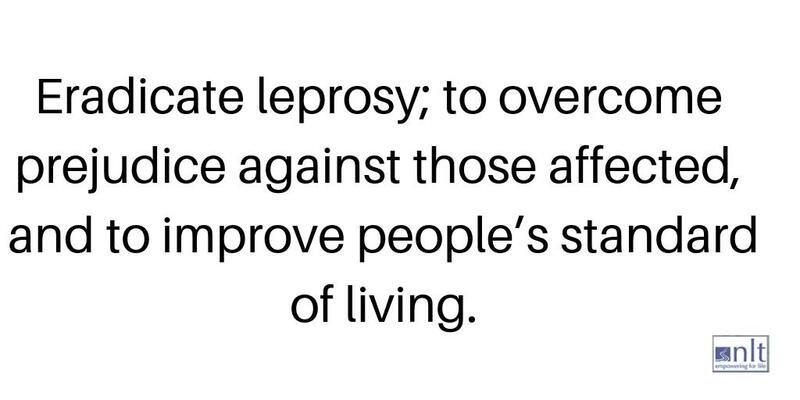 This is incredible considering the stigma against those who have leprosy, particularly women. From talking to inpatients and those in the community, we learned about the harsh realities faced by people affected by leprosy. Some of the common complications associated with leprosy are loss of sensation on various parts of the body, severe ulcerations on hands and feet that can lead to amputations, reduced muscle strength, finger contractures, eye damage or blindness. It was upsetting to see these devastating physical injuries, knowing that they are preventable with early treatment. A girl as young as 8-years-old was admitted with an ulcer so severe that it had deteriorated the bones in her foot. Physical disabilities like these hinder people from being able to look after themselves and go about their daily lives. We learnt that stigma is often so strong that those who have leprosy experience exclusion from participating in family and community life. Realising the importance of engaging in meaningful activities and participating in community and family life underpinned the projects we undertook. Our first week was spent visiting the many departments and learning about the culture of LLSC. We were encouraged and inspired by the holistic and empowering approach. After much collaboration, we identified how we could contribute in three different ways. This included conducting in-services for staff, introducing an assistive devices program, and initiating a development proposal for an onsite prosthesis department. We conducted two in-services for staff of LLSC. We collaborated with staff and identified two relevant topics: ‘Keeping the body active to prevent deconditioning,’ and ‘Keeping the mind active to prevent depression.’ The in-services were well received, and we enjoyed presenting them. They were a good starting point, as they set the scene for our second project. Our second project involved designing simple assistive devices to help those with physical disabilities do their daily activities. Complications from leprosy make doing daily activities of dressing, washing, eating and writing difficult. It took a lot of creativity to make the assistive devices using readily available and inexpensive materials that villagers could access. The aim of this project was to enable people to make and use assistive devices. We ran two practical workshops to train staff in making assistive devices so that they can teach inpatients and people living in the community to make their own. We also presented the assistive devices in a training session for group facilitators from local communities. To promote sustainability we provided a resource folder with visual instructions on making the devices. By far the highlight for us was seeing a lady with finger amputations feed and dress herself using the assistive devices. The smile on her face was all that was needed to see their worth. The third project we worked on was a development proposal for an onsite prosthesis workshop. We visited local communities and talked with staff about how amputations affect people’s lives. These discussions led to the realisation that a prosthesis department run by those affected by leprosy would greatly compliment the existing services at LLSC. After liasing with various staff members we were encouraged to pursue the proposal. This was a valuable opportunity to weave the concepts of occupational therapy with the principles of empowerment currently being applied at LLSC. We have had many rich and diverse experiences at LLSC. We will leave satisfied that we have contributed to LLSC and honed our skills as occupational therapists in the process. We look forward to finding out how the projects we implemented evolve in the future. We have enjoyed working alongside the friendly staff of LLSC, and are inspired by their tireless efforts to improve the quality of life of those affected by leprosy. We would like to say derai danyabaad (thank you very much) to all the staff at LLSC and all the best.